It's hard to believe that every day the news reports have Syrians dying like flies and noone seems to give much of a damn. The report yesterday that 80 students were blown to smithereens was particularly galling. They were studying at their University in Aleppo when, apparently, death rained down from the sky, either through a missile or a bomb. One image had a female hand with a pen still in it, dismembered from the rest of her body. She apparently died while doing school work. I was a Rabbi at a University. If 80 students had died in a military attack it would have shaken the foundations of the academic world. Professors everywhere would have condemned this violation of the sacred halls of academia. But in Syria it's just another day of indiscriminate slaughter. The United States is the world's strongest nation with the loudest voice. Can't President Obama speak out? I know we're not ready to invade Syria or impose a no-fly zone. Americans don't have the stomach for another war, or an invasion. But does that absolve us from simply condemning the slaughter in the strongest possible terms? What would it cost, in blood and treasure, for President Obama to fly up to New York and address the United Nations with a simple declaration: "President Assad, I'm here today to tell you that the long arm of international justice will catch up with you. Today you're a brutal dictator killing men, women, and children in order to stay in power. But one day, in the not too distant future, we will catch up with you. You will be arrested for crimes against humanity and tried for your butchery and mass murder. It may not happen today or tomorrow. But I assure that you one day, in the not too distance future, in the dead of night when you least expect it, it will happen. Soldiers of civilized nations will apprehend you and take you to the International Court of Justice at The Hague where you will stand trial before the world for your cruelty. And you will be held accountable for your appalling crimes." Isn't that what the UN is for? It's bad enough that China, and especially Russia, are protecting Assad and refusing to allow international action against him. But the American president is the very symbol of democratic freedoms and human rights to the entire world. He dare not remain silent. Atlantic columnist Jeffrey Goldberg recently reported that President Obama said that Israelis don't know what's good for them. Bibi wants to build in Jerusalem but doesn't realize that he is isolating Israel further in the international community. I appreciate the president's concerns. No doubt Israelis are especially grateful for the American president's ability to divine Israel's security needs even better than their chosen leaders. But perhaps our president should focus less on construction of apartments and homes and do something instead about the bombs and rockets that are killings tens of thousands of innocent Arabs. Syria is arguably the greatest humanitarian crisis that President Obama has had on his watch and he is, respectfully, failing miserably in doing anything about it. The Arab leaders have proven even less reliable. While President Morsi of Egypt decries Jews as descendants of apes and pigs, he seems fairly oblivious to the indiscriminate slaughter of his Arab brothers in Syria. But it's become fairly obvious that it's not the Jews who are the enemy but brutal Arab dictators who will kill as many Arabs as is necessary to stay in office. The Emir of Qatar, Sheikh Hamad bin Khalifa, seems much more interested in forking over to Al Gore half a billion dollars to buy Current TV for Al Jazeera than taking out full page ads in the worlds' leading publications alerting them to the Arab children who are dying in Damascus. In the book of Genesis God asks Cain where his brother Abel is. Cain has just killed him and in effort to protect himself famously asks, "Am I brother's keeper?" God's response is ferocious. "What have you done? Your brother's blood cries out to me from the ground." We who witnessed the repeated genocides of the 20th century -- from Armenia and the Holocaust to Cambodia and Rwanda -- will one day be called to account for our silence in the face of dead students and children. 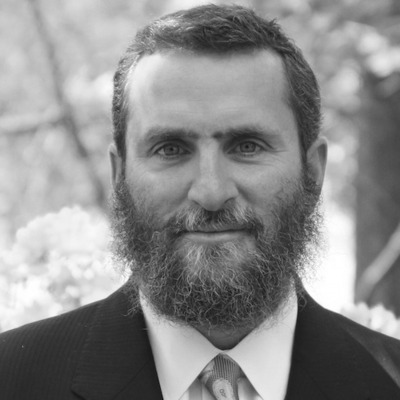 Shmuley Boteach, "America's Rabbi" whom The Washington Post calls "the most famous Rabbi in America," has just published his newest best-seller, "The Fed-up Man of Faith: Challenging God in the Face of Tragedy and Suffering." Follow him on Twitter @RabbiShmuley. This column is dedicated to the memory of Machla Debakarov, the mother of a close friend of Rabbi Shmuley's.